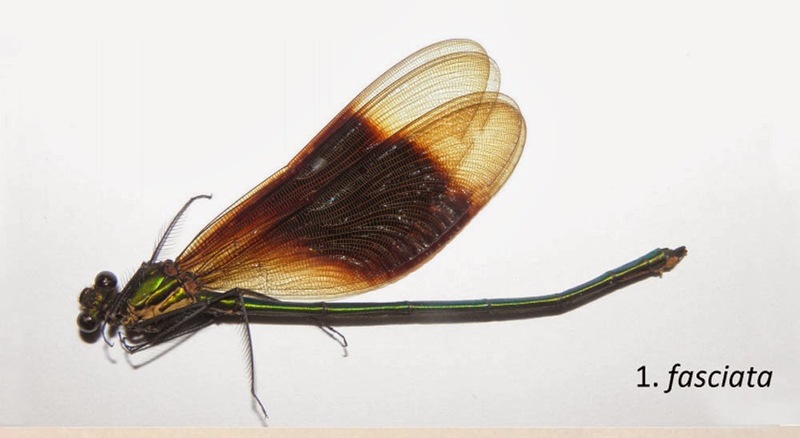 The new species of very beautiful Caloptera damselfly was found from Yunnan, collected by the first author of the species, be confirmed by second and third author. The new species is close to its related species Atrocalopteryx laosica that was recorded from Laos and Vietnam. They are easy separated by the differnce of wing color marking, A. laosica has darker wings while A. fasiata has clear part at wing apex and base. Calopterygidae is one of the most colorful insect group among Odonata order, Matti Hamalainen (third author of the species) is the world expert of this group, Haomiao Zhang (the second author) is young actives odonatologist who interested in many groups of Odonata, he found many new species of Odonata from China.